Completed in 1898, Burrator Reservoir lies at the foothills of Sheeps Tor and Leather Tor. It was originally built to provide fresh drinking water to Plymouth and surrounding villages. There are some picturesque walks around the Reservoir of about 3.5 miles taking in the beautiful views of the surrounding countryside. 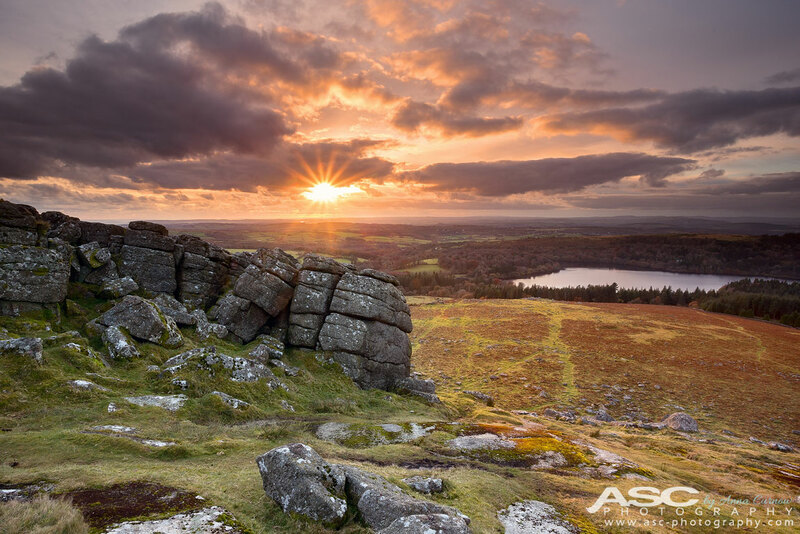 This sunset was taken from the top of Sheeps Tor overlooking Burrator Reservoir.